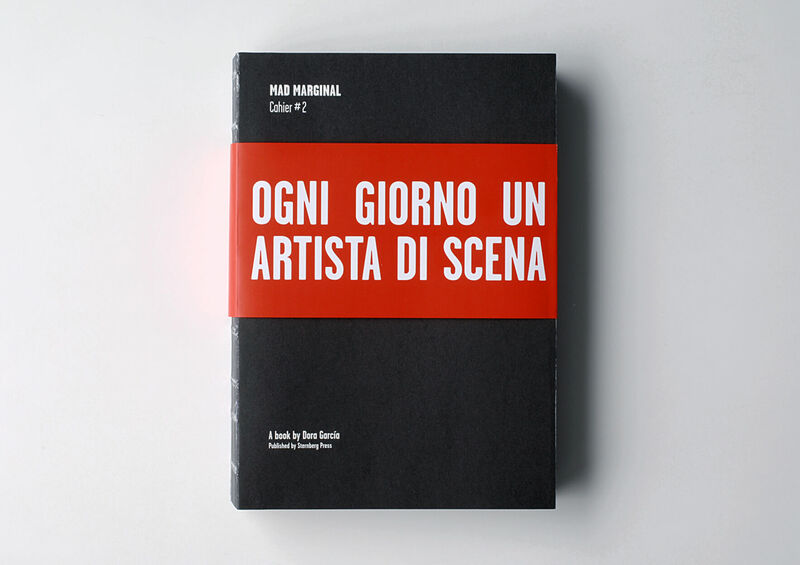 The second cahier of García’s Mad Marginal project, presented as the publication for the Spanish Pavilion at the 54th Venice Biennale 2011. Edited by Dora García and Carolina Núñez. Contributions by Pierre Bal-Blanc & Elisabeth Lebovici, Howard S. Becker, J. M. Coetzee, Dora García, Katya García-Antón, Ugo Guarino, Peter McKenna & Tomasino Oh, Cesare Pietroiusti / Alessandra Meo / Mattia Pellegrini / Davide Ricco, François Piron, Tavolo del pensiero, Nicola Valentino. Contains “From Basaglia to Brazil – Mad Marginal – Cahier #1”. Design by Alex Gifreu.